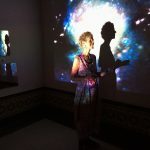 Imogene Drummond is an internationally collected painter, award-winning filmmaker, artist/educator, author of articles on cultural transformation, former psychotherapist, and world traveler. 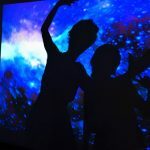 Her award-winning film Divine Sparks whimsically celebrates the creativity in the universe and in us all. 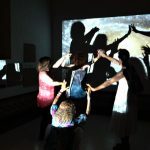 With the film, she developed an educational multimedia creativity program, Art Sparks, designed to facilitate individual creativity and empowerment. Due to her numerous painting expeditions around the world, she was invited to join the Society of Women Geographers, an organization of women explorers of ideas as well as geography, whose membership includes Eleanor Roosevelt, Amelia Earhart, and Jane Goodall. Now based in New York, Imogene’s formative years as a child were growing up in North Africa. Imogene believes in the power of art to educate, empower, and transform. She has come to realize that deep cultural change will emerge when we understand that our primary human context is—not political, religious, racial, or gender identifications—but that we are part of an evolving universe. For Imogene, this is a phenomenal expression of how we are all literally connected–to nature, the earth, and each other. 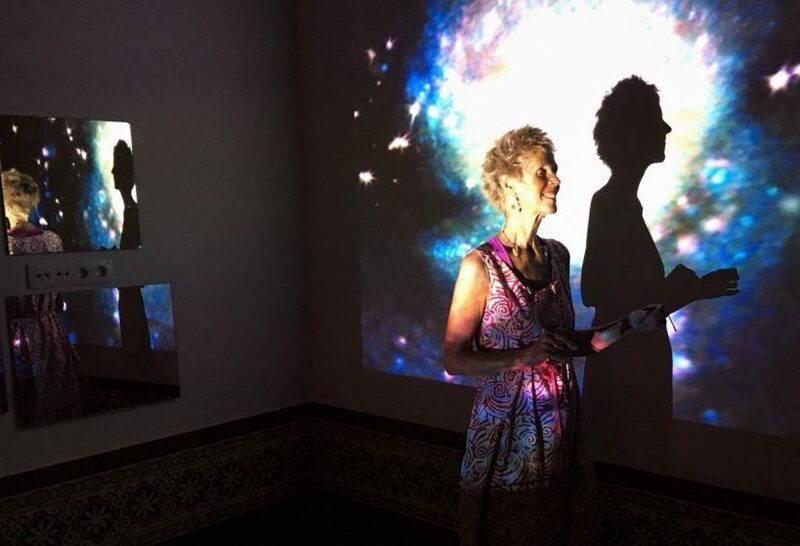 She believes that understanding our physical connectedness with the universe–and each other–can spark increased knowledge, consciousness, and a transformative shift toward positive personal and social change. 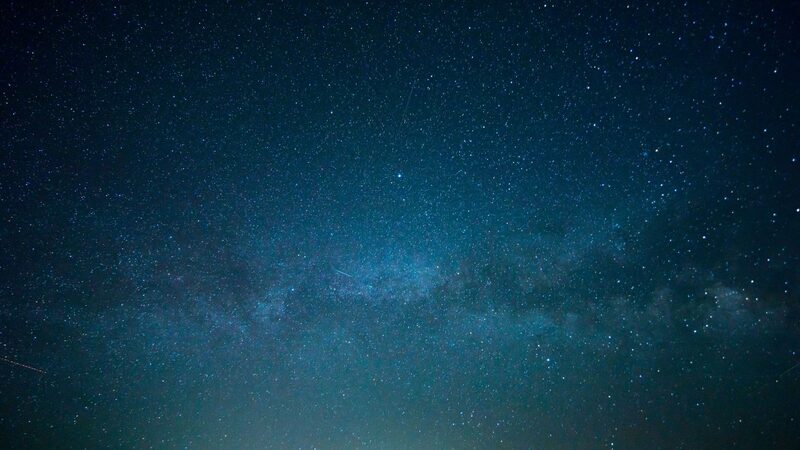 For example, when we become more aware that we are all part of a self-transforming cosmos, we can focus on what unifies, not divides, us as humans. 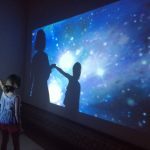 At Airgentum Hoja de Ruta Art Residence, Imogene has been exploring the question: “How can my art help people experience that they are part of the universe?” To explore this question, she has created an interactive video installation expressing Castilblanco’s connection with the cosmos. 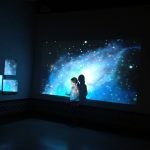 In this immersive experience, imagery of the universe—outer space blended with Castilblanco’s flora and fauna—will be projected onto participants as they walk or dance through the exhibit space. 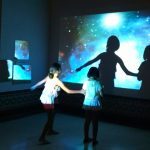 Other elements in the installation include mirrors, symbolizing consciousness, in which participants can see starry imagery dancing on themselves. 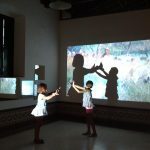 To further extend the experience, two short videos featuring Castilblanco people and familiar images of village life mixed with images of the cosmos, will be available for viewing on computer monitors. Those attending the exhibition may see themselves or their neighbors! 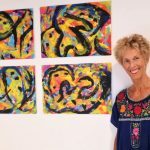 Additionally, Imogene will exhibit paintings that express her sensory experience of being in Castilblanco—reveling in the brilliant light, warm hospitality of its people, and beautiful shapes and colors of the Andalucian countryside. 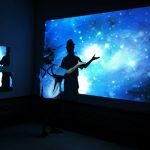 And so, Imogene has drawn on her experience, skills, and interests in art, film, nature, and community to create an interactive, immersive video installation expressing that Castilblanco is literally connected to the cosmos.